If you only ever limit yourself to getting a dozen games for whatever system you play on , then this popular game of Hi, Lord is the one you should be picking up for iOS and Android. With the App Store and Play Store regularly filling up with new games, it could sometimes feel like searching quality one among the scrum is hard task. But there are some sensational experiences waiting for you on mobile, and it’d be bad if users missed out on them due to the mere stress of discovery. Hi, Lord game is cinch something that’s so much different on the App Store and Play Store, which is always refreshing to experience these days. Hi, Lord is a battle action game which professionally forms the strongest units through collecting numerous monster cards and defeats enemies with skill attack, avoidance skill, and various attack techniques. The players can also identify unique skills and battle characteristics of each monster to develop the perfect deck. As an absolute lord, the players can control warriors, beasts, and mages and use them in battle. You can also understand weakness, strength chart and after that characteristic of monsters to adeptly compose the best units. Even if players have the best monster cards, if you neglect the monster training and combat, you would be the loser Lord. In addition you must overcome your enemies and get battle superiority with skill, card upgrade. It would be the power of victory. There is possibility that sometimes you can defeat powerful enemies through cooperation with other Lords. Eventually the God will stand with you until you have prevailed. Experience the real-time battle game with people around the world. Players will fight short and intense battles. In conclusion if users are expediently looking for a special kind of battle action game to sink their mind into this weekend, then Hi, Lord will completely assuage with entertainment. Also if you’re an ardent fan of action games in general, then Hi, Lord is one that you must check out this on holiday. MythicOwl – a young app creating company that has been at it for quite a few years now – are back! Recently, they launched their 8th (and most successful) mobile app! Late last year, they released the helpful app for parents called Parenting Hero. It was created in collaboration with two well-known authors Joanna Faber and Julie King, and did quite well. All the games released by MythicOwl are aimed to not “waste the player’s time. We want our products to improve the skills and knowledge of the users,” according to their website. From trying out many of these games, I believe they have succeeded. Tomasz Mularczyk is the CEO of MythicOwl and approaches their apps with a focus on education. “I strongly believe education is the key to the future. Our games combine the development of skills with entertainment,” said Mularczyk in his website bio. MythicOwl’s most recent release is a sudoku-style puzzle game called Hexologic. It hit the app store on May 29th, 2018, and is available for iOS, Android and Steam. More recently, the game became available for the Nintendo Switch! With Hexologic, you can immerse yourself in the beautiful world of hexagons and fall in love with Sudoku again. It contains 60 levels (plus a few more hidden levels) designed down to the smallest details with well-balanced puzzles. There are 4 completely different game worlds, each with unique gameplay mechanics along with an atmospheric soundtrack to accentuate the game’s ambience. If you don’t regularly enjoy puzzle games, at least give Hexologic a chance. It’s not your boring old game with aged gameplay and controls. Hexologic is swift, appealing and exciting the entire way through. The creators have done an excellent job of making everything entertaining for all users – young and old. Not confident in your sudoku and puzzle skills? No problem. The game includes great guidance as you begin your journey into this great world of hexagons. Any and everyone will enjoy this latest MythicOwl release. It’s easy to learn and play, but also challenging and competitive as you continue to pass each level. There truly is never a dull moment in Hexologic’s world of hexagons and sudoku puzzles! Look for it in the iOs, Android, Steam app store, as well as on the Nintendo Switch. Hexologic is the perfect way to relax and stimulate your brain! 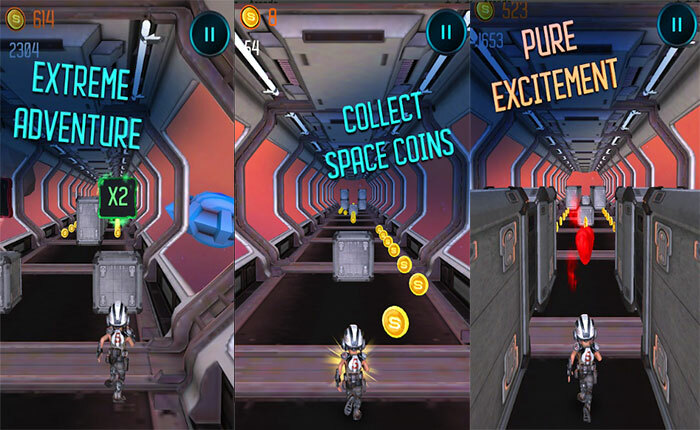 I feel like I’ve tried every new game app out there, I’m still always looking out for more, and Space Run 3D – Infinite Running Adventure is one that kept interested me when I saw it on the Play Store. After spending more time with it, I can say that it’s definitely entertaining game app to unwind with. More primarily Space Run transports you to exotic worlds in faraway galaxies for the most epic endless running experience ever. The players can immensely collect coins, customize their character and use power ups to survive for as long as they can. Later then players can effectively compete against friends on the leader board. Apart from all aspects the players could experience special missions to complete and high numbers of cool stuff to unlock for upgrade. 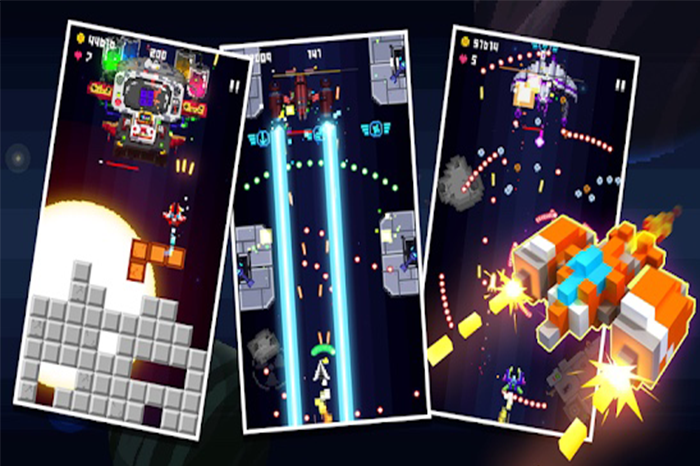 Moreover in this game the players can have hours of endless running fun with Space Run. By this reputed game the players could run, jump, dodge and duck as they avoid the obstacles in their way. Besides all key features the controls are simple and facile where they could just swipe left or right to move from side to side, and swipe up or down to jump and duck. The main goal is to run as far as they could without hitting any obstacles. In situations if players hit something then game over. It is enumerated that precious gold coins are distributed throughout the space stations. 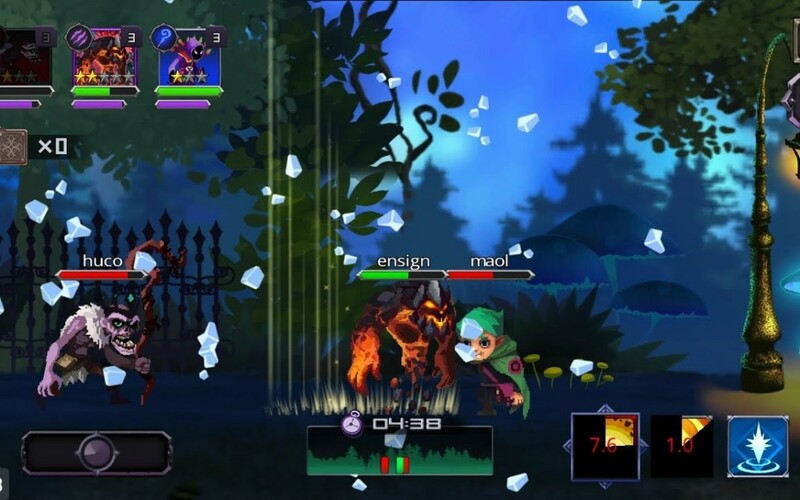 The players can widely collect as many as they could to customize character with slick new attractive costumes – from hi-tech space helmets to pirate hats. You can have few clothing offers where they could earn extra bonuses, like an extra life or a power up booster. The players could spend their gold coins on upgrading power ups, too. It is easy to pick up these power ups as you play and use them to maximize score. They are also illustrated that from double coins to invincibility, the players could easily upgrade the duration of each power up so they last even longer. The app developer of this game app certainly did quality job with concept, game plan, that’s for sure.And because of the lovingly designed game app features, everything is totally packed with ton of key aspects for benefit of users. When it comes to my gaming time, I primarily prefer something unique that is relaxing but entertaining at the same time. For these exclusive moments, racing games genre is always my go-to choice, so when these familiar genres introduced I can’t resist playing or get addicted. I spotted Wheelie King 3D on the Play Store last week while I was at browsing and I had to download it for giving it a try. Needless to say, this golden gem does not disappoint me. More interestingly this motorcycle racing has always been one of the best kinds of games on mobile devices and if you are passionate gamer you have certainly played one of these racing games. It is conveyed that Wheelie King 3D regarded as one of the latest games in the motor racing category and found to be highly addictive, easy to learn with entertaining features. So, it is also simple to know what this racing game offers and how it stands out from the stiff competition. With this eminent game the zeal players get to ride a motorcycle and they must move through several obstacles, hurdles to reach the final line. The players have different motorcycles to pick from, and when it comes to the tracks, passionate players will find wide range of different tracks in extensive different environments. You have few bikes and tracks available for free. In order to unlock the other ones you require to spend coins which could be collected during the racing and also while racing. They are best known as persuasive realistic gameplay and applauded as quality realistic bike physics, which would feel like players,are really on a sport motorbike. The gameplay is so simple to learn that it just takes a few tries to get used to it. So I strongly suggest givingWheelie King 3D a try if you are in the passionate mood for a special game this weekend with a good emphasis on game plans. Overall, I trust app developers did a good job with game features. Finally it is a quality release and one of the best game apps released so far this year, in my opinion. When it comes to Android gaming, I tend to enjoy it most in quick bursts throughout the day. Over the years, I’ve learned that one of the best genres for these are space battle games, where I can pick it up and play for a good chunk of time. When I saw Space War – 2D Pixel Retro Shooter by SHMUP HOLIC on the Play Store, I became intrigued by the concept so I’m glad I picked this one up, because it’s a great game that does not disappoint. Are you ready for a classic Arcade shmup gameplay then Space War is the top space battle game which is totally rendered with 2D pixel graphics and would hook every retro-nostalgic into its arcade gameplay. The passionate players could simply control a plane and must travel through numerous hostile alien planets. The players can use their dexterity to fend off incoming dangers and actively keep shooting down everything that moves. You can use Play the Arcade mode by advancing from level to level, or unlock the Boss-battle mode to fight only the bosses and unlock special planes. The major question would be can you defeat all the bosses? This familiar Space War game features a classic shmup arcade gameplay where you must use your spaceship to destroy hordes of enemy ships and bosses. The players could simply guide the ship and it will shoot automatically. The zeal players have more than 30 different planes to pick from and start blasting enemies. You can also start with your grandfather’s old plane and use collected coins to unlock more powerful ones. It is possible to unlock special planes by defending bosses. It is affirmed that during play the players could pick up several power-ups which help you to shoot faster and more powerful or protect you. They could also collect nukes to blast whole areas and use in-game coins to buy upgrades namely for your shield, gun, bomb, magnet. In this popular game the players will come across 8 different planets to unlock, each with multiple levels that would keep you hooked for hours. Every time you lose your lives, players must start over and replay those levels. They must also face 8 EPIC boss battles. This reputed game of Space War adeptly features beautiful pixel-perfect graphics that would bring out the retro-nostalgic in you. It is also accompanied by an original soundtrack to help you immerse in the action. If users are looking for unique kind of space battle game to sink your mind into this happy weekend, then Space War – 2D Pixel Retro Shooter will not surely disappoint. In addition shooting is so cool and everyone can enjoy the variety of shooting games from SHMUP HOLIC! Road Draw – Hill Climb Motor Racing is a new innovative motor racing game that breaks all the rules. You’ll want to take all of your previous knowledge and experience with Road Draw and throw it out the window. This is nothing like you’ve played before. If you enjoyed other racing games, then you don’t want to miss this new hit. As a kid, I grew up with racing games on my computers. It was the one that everyone pretty much turns to when they require to kill some time back then. It’s a definitive racing game, I was eager to give it a try as it was a fresh new take on. Road Draw – Hill Climb Motor Racing ended up being one of my favorite games for a while, and it still actively holds up well. And boy, this one is another sure massive hit. In this game of Road Draw Rider, players are exhibited with small little dirt bike and rolling hills. Your bike moves forward endlessly, using a small fuel gauge at the top as a resource. The user important task is to continuously draw roads along the way to assure your bike doesn’t flip it over – it would certainly appear your gentle driver can’t handle any kind of steep incline. So they must still be learning. When passionate players progress, the coins and stars would adeptly grace your path, forcing you to draw new lines in even more different directions and patterns to assure you get as many of them as possible. The good part of this is the fact that players are often forced to choose between directions, allowing you to make continuous conscious decisions as to how much money you wish to make. 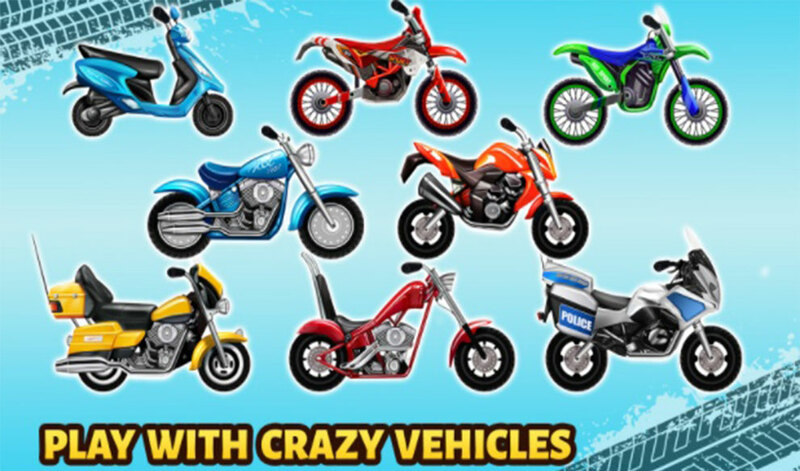 The money players gather during levels allows you to purchase new bikes and vehicles. It is conveyed that each different vehicle has different variation of statistics, these being features like Power, Speed, Fuel Capacity and Suspension. They would provide you further decision making as to which bike you wish to take for each level. In case if players have any type of hardship with a particular level, this variety allows you to go back to the bike selection and pick one with better statistics for that particular level. Moreover the key core gameplay of Road Draw Rider, drawing roads to allow you to take steep hills more easily and enjoyable. The users could always decide where to go based on your end goals, choosing up power ups and resources along the way. For the game to experience any kind of challenge, your rider needs to be affected fully by gravity, eat dirt now and again. Road Draw – Hill Climb Motor Racing game seems to always like you to be making decisions as you play, whether it’s what bike to use or what direction to go. This method give the player options wide open and keeps you entertained as you play Road Draw Rider. By these special types of games players enjoy properly and learn from mistakes which eventually lead to success. The gameplay is simple enough and opens itself to good range of variety of possibilities with directions. In conclusion I strongly recommend giving Road Draw: Hill Climb Rider a try if you are in the good mood for a special racing game this weekend.